My boss is a fan of this and gave me one of his bottles - notable because on the front it says that it is 40% abv due to a missing ".". 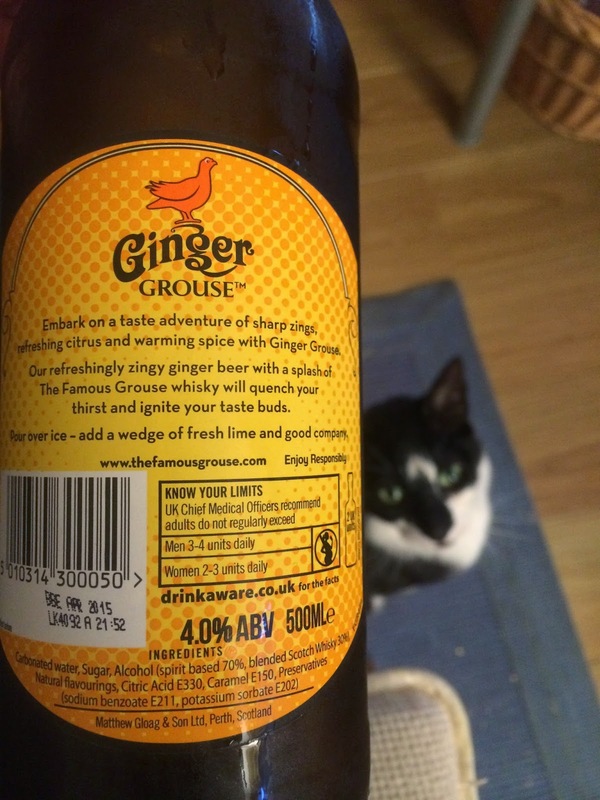 On the back the correct value lurks with a note that says why this is a little more interesting than a normal alcoholic ginger beer. It contains famous grouse whisky! I've never tried this particular brand of whisky, but I'm sure I've had it at some point. My partner spotted it in the supermarket and picked one up for herself too - this one had the full stop in the right place on the front which was reassuring. While we don't tend to drink at home and midweek this was a nice pleasant change (although cat Ollie doesn't approve). 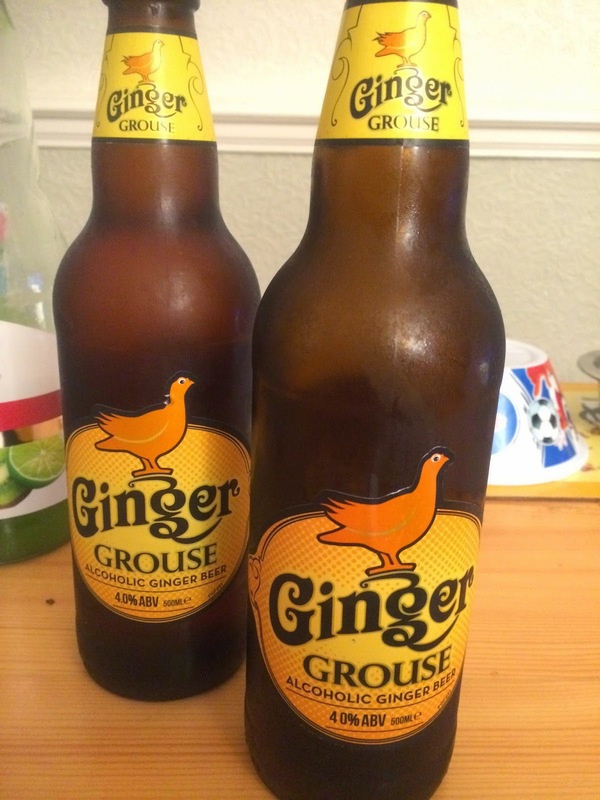 I think that this is a little more 'beer' like than some ginger beers like Crabbies, and the ginger is certainly less aggressive - which I approve of. It wasn't too strong in any direction and was very nice while watching TV after dinner on one of our last hot summer days. I'd be more than happy to order this in a pub or to take round to a party. It's interesting enough to be worth people trying but not odd enough to put them off. I think a blend of familiar brands in new situations works well for alcohol. We are all already so used to cocktails that premixed variations using quality options seems a good way to get people to branch out from having the same thing every time. I bought this Tutts Clump Rum Cask Cider for a rainy day whilst we were on a particularly sunny holiday visiting Greys Court near Oxford. We were very impressed with the medieval donkey wheel, Tudor house and surrounding gardens, not to mention the fact that I beat Cinabar in a wooden sword and shield contest in the children's playground, which was hidden away amongst some trees at the back of the gardens. That rainy day become something rather different when Cinabar mentioned that I was to be challenged by a friend to do the ice bucket challenge to raise awareness and donations for Amyotrophic lateral sclerosis (ALS) also referred to as motor neurone disease (MND), as well as other Neurological diseases such as Alzheimer's and Parkinson's disease. Not one for ever wanting to be in a video on the internet I still felt pretty honoured to be thought of as someone who would want to take part in something selfless for a change and certainly for charities that I have never done anything for in the past. This sounds crazy when I think about it as the guy who sold me my first car has been wrecked by Alzheimer's and a previously super active relative ruined by Parkinson's. It was for these reasons I immediately jumped at the challenge and bought a bag of ice that day. It was a fairly sunny evening, straight after work and you can see the results on our Facebook page from this link. After my quick chill I reached for this bottle to try and warm myself up again. There was quite a pungent rum liquor smell with the cider odour behind it on opening the bottle. Like the ice for my bucket this cider had come freshly chilled from the fridge. There was a decent dose of condensation on the outside of the bottle on pouring. There was a good fizz to the cider which had a deep yellow almost orange colour. I have to admit that the bubbles went straight up my nose on first taste, and mixed with the strong rum taste I almost sneezed. The sheer bitterness from the apples in the cider bit at the back of my mouth stopping the sneeze in mid-flow like a surprise pinch from a cheeky loved one. Each sip of this drink was like that. There was an almost alcoholic vinegar kick to start with mixed with the fizziness begging the question "shall I sneeze?" ending with the sharp bitter pinch answer of "no, you won't!" This drink is certainly not for the faint hearted. I must admit that the rum flavour did warm me up a little, but the dry bitterness and almost saccharin sweetness at the end of the taste made me shake after every mouthful. Not much of a pleasant relaxing sweet cider flavour here. Its strength made me forget the ice bucket pretty quickly though. 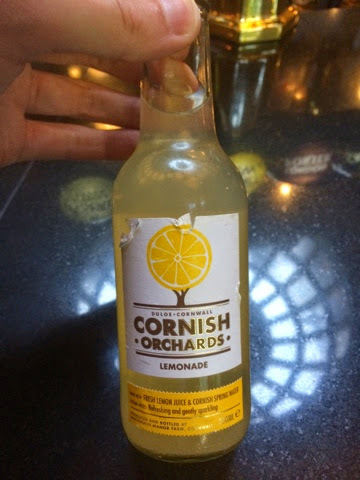 If you like a liquor bitter burst from your dry cider this drink is for you. 500ml bottle at 7.5% volume. Tutts Clump Cider is produced in the Travellers Rest Farm, in Bradfield, West Berkshire. Made from locally grown eating, cooking and crab apples which were fermented and matured in oak rum barrels. Just occasionally at Foodstuff Finds we have days when we think we may have over indulged a bit, and want to make ourselves feel better by eating something a bit lower in calories. 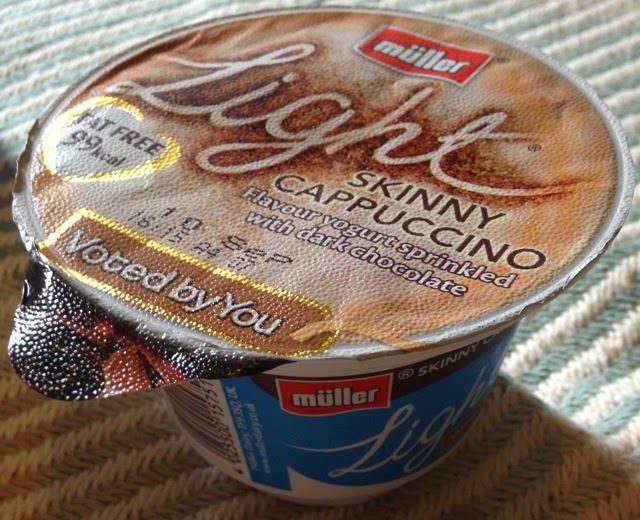 This was one of the days, and it gave me the opportunity to see what is new in the low fat Muller Light section. This Skinny Cappuccino seemed like an interest flavour combination, and not a flavour I associate with yoghurt. The packet says that the flavour had been chosen by the public, which means that Muller fans are a little more adventurous than some of the other brands out there… KitKat I’m looking at you. 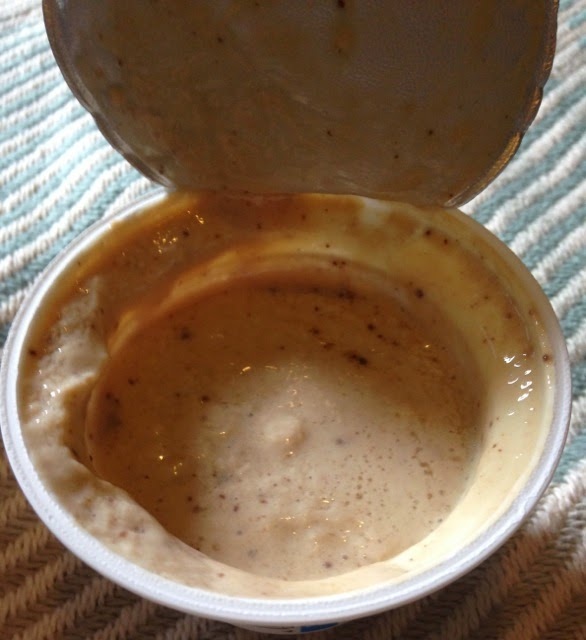 When I pulled back the lid I found the yoghurt to be a little darker than I expected, and not that appetising in colour. It was, well - dirty looking for want of a better phrase. The flavour was a total success though, the thick and creamy yoghurt had chocolate bits throughout, and combined with the sweet coffee taste perfectly. 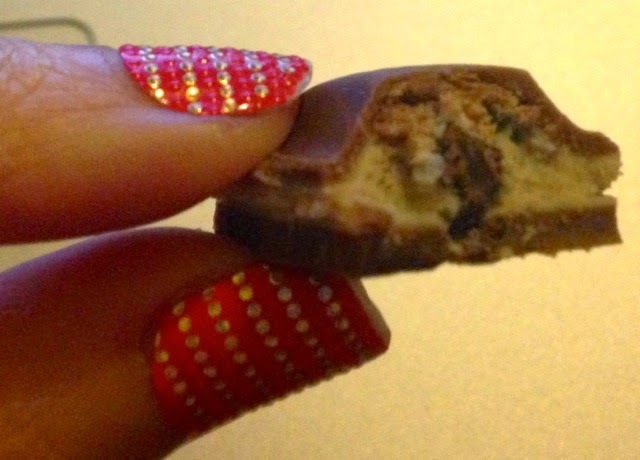 You’d have never guessed it was fat free and only 99 calories. So don’t be put off by the colour, and thank the fans of Muller for coming up with a new flavour that is a bit different but works really well. Another gaming session and more gamer fuel reviewed. Up this time it's the brother snack of the sweet potato that I reviewed before (and we bought again). Vanguard has these for cheaper than SooEasy so I can justify them more easily - hurrah! 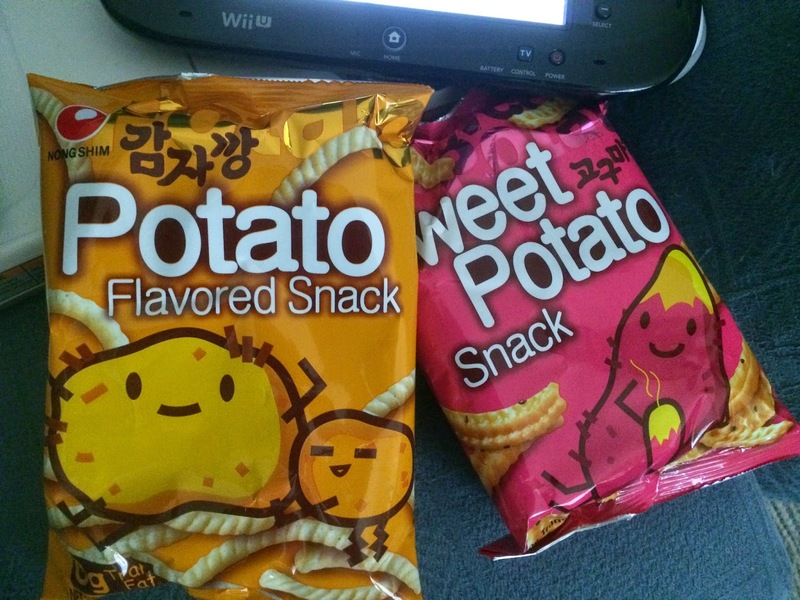 These potato snacks are much more similar to English potato snacks than their South Korean origin would suggest, but have an unusual garlic/chive flavour to them. I think the English version would have contaminated this with some synthetic dairy tastes which is why I quite liked these a bit more. The USA version of the Nongshim site has a staggering array of flavours, and Amazon sellers are happy to charge $10 for a bag instead of the 69p that I paid! I think I'll stick to my current strategy of Think Globally, Shop Locally and continue to try these things until I accidentally buy a fish one and go into a sulk. Produced in the Republic of Macedonia. 280g net weight. 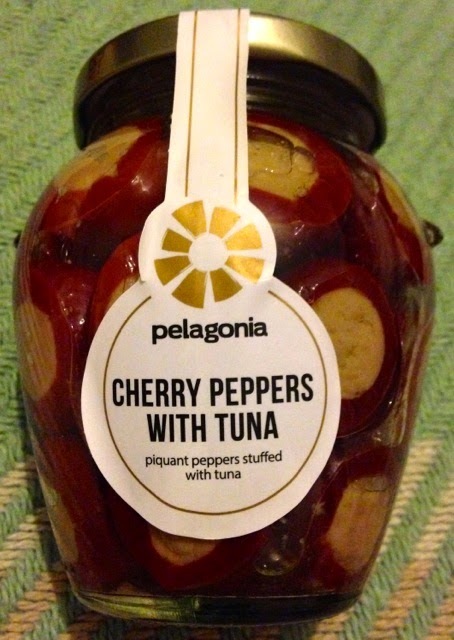 Ingredients included; 45% cherry peppers, 30% sunflower oil, 20% tuna, 5% capers, olives, anchovies, vinegar and salt. I was wandering about the shops on bank holiday monday and thought it would be nice to pick up a bottle of drink, as I was getting thirsty. I stopped, looked at the bottles of cola and immediately frowned. 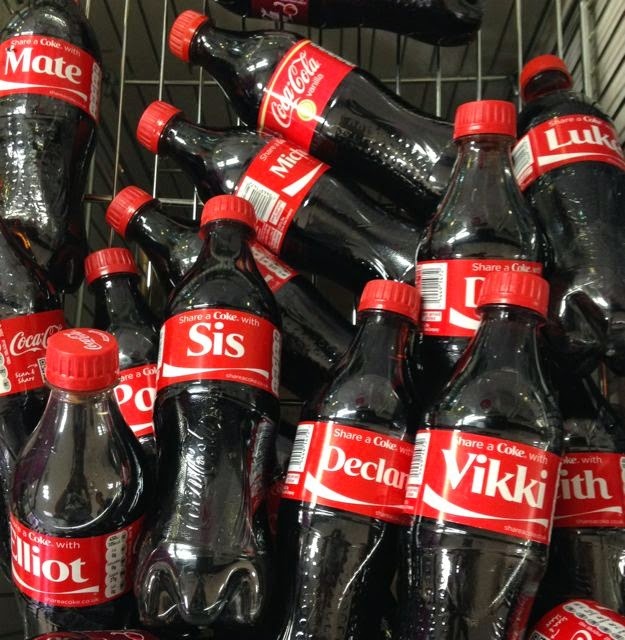 Coca Cola is running it’s named bottles campaign. The bottles all have names written on them, and people madly search through the selection looking for their name. It isn't just here that is doing it, it is across the globe. NLi10 found a set of this new phenomena of name bottles on a recent holiday to Norway. There is no avoiding it. If you have a reasonably common name the chances are you still won’t find it, just because shops are fairly limited on the stocks they get in, so even common names are hard to locate. I think the name thing is destined to end in disappointment, people searching hopefully for their name and giving up and picking up a random one. 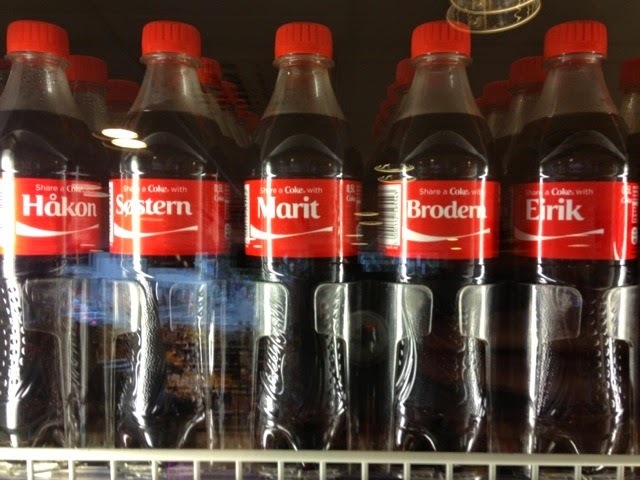 I don’t want to drink from a bottle of cola that says “Brian” on the side, that’s not my name. I have a rare first name, “Lis”. Yes it ends in an ’s’ not a ‘z’, and this means that as a child I never had any personalised stationery/mugs etc. As an adult it means I don’t have the slightest chance of finding a bottle of Cola with my name on it either. For some reason having the wrong name on things bothers me more than not having a name on it at all. As I’ve got older I’ve become more sensitive to the incorrect spelling of my name, it is only three letters L-I-S there shouldn’t be much room for it to go wrong, but it does and it does make me grumpy. Emails tend to come addressed to either “Liz” or, and I think this is auto spelling correction, “Lies” which just isn’t friendly is it? Occasionally people guess “Lisa” too… I assume they think I accidentally mis-spelt my own name and politely corrected it for me? Really? Annoyed by the Cola bottles, and bugged by the idea of drinking from a bottle marked “Declan” I decided to grab a drink in Starbucks instead. I queued and then ordered myself a Hazelnut Macchiato. The server did ask my name, and finally thrust a fancy looking drink in my hand with “Liz” written in black pen on the side of the cup. Oh for goodness sake - that’s not my name! 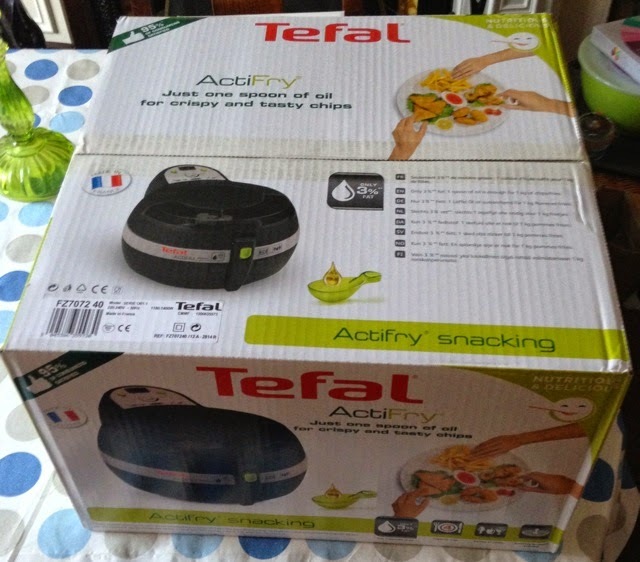 We have a new toy in the kitchen, the Tefal Actifry Plus Snacking. This fab gadget looks rather like a deep fat fryer, but cooks chips similarly with just one spoonful of oil!The Actifry products have been available for a while now in the UK, but the part that interested me is the new snacking version now available. I unpacked the box and discovered a fairly large device inside. We managed to find a spot for it on the kitchen surface near a plug. It had a fair amount of cable to reach the power socket, unlike our toaster which came with a far stinger amount! Inside the box is the traditional Actifry paddle, or a smart wire basket for snacking goodies. This both fit inside the machine, and are interchangeable. We gave the traditional paddle a try first and made some rather lovely sweet potato fries, they were quicker to cook than the recipe booklet suggested for potato fries, but the handy window on top of the Actifry meant we could easily keep an eye on them. They were lovely, and it was the first time we've tried doing them at home in any form. Next up I purchased a box of breaded prawns to test out the snacking tray. I lined them up in the tray, possibly a little snuggly but each one had room, and none were doubled up. 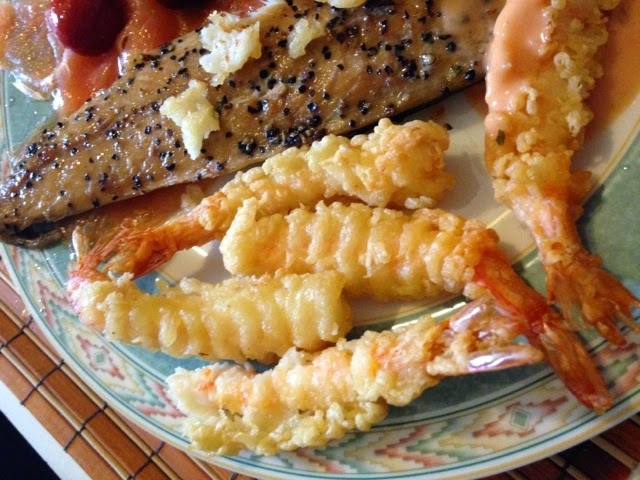 These we cooked for 12 minutes which followed the instructions on the box which were similar to the prawns in the recipe book that came with the Actifry. They went a lovely golden colour when cooking and we added no extra oil, so it is a healthy way of cooking them too. What impressed me was when we came to test them was how lovely the coating was, golden and crispy, and it meant the prawns were perfect for dipping into Marie Rose sauce. I was very pleased by how they'd cooked and the taste. Interestingly in the tray below the prawns I noticed a few small puddles of oil, which had been released from the prawn’s coating during cooking. They taste like they have been deep fat fried, but these were such a healthier alternative, actually reducing the fat content because of the wire mesh. 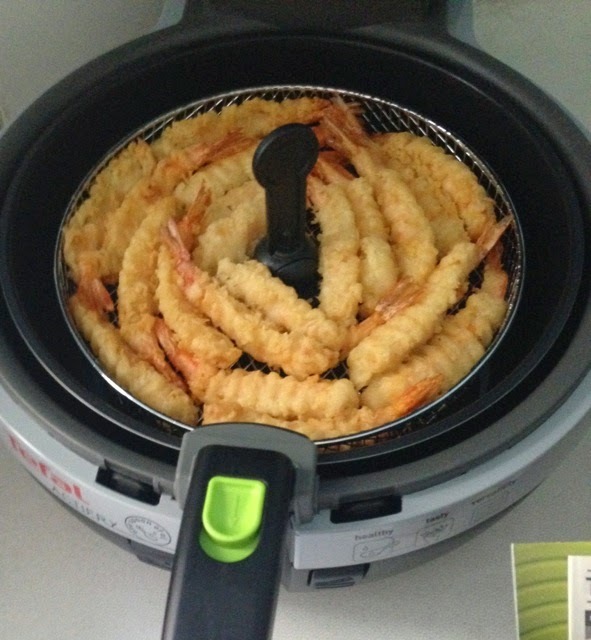 I really enjoyed using the Actifry, it is a large appliance, and it is a little noisy as it cooks but after my first two trials I couldn't be happier with the taste, and the obvious health benefits. The snacking tray is a brilliant addition to the device and is something I'm very much looking forward to experiment with. I think chicken nuggets and scampi are up next. Many thanks to the lovely folks at Ideal World TV for giving me the chance to give the Actifry a try. While in the Co-Op on the way to a nice long walk I spotted these in the exciting new special offer section. 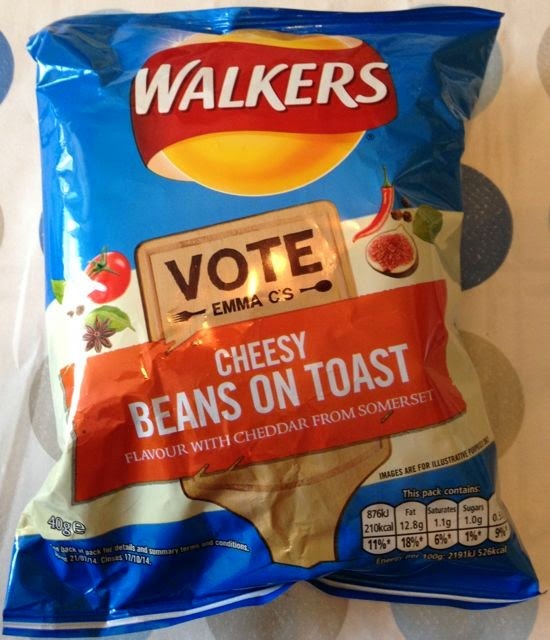 They are made by Walkers, but they aren't technically crisps. What they seem like is large sheets of pita bread smashed into edible size pieces after being lovingly roasted and covered in flavour. 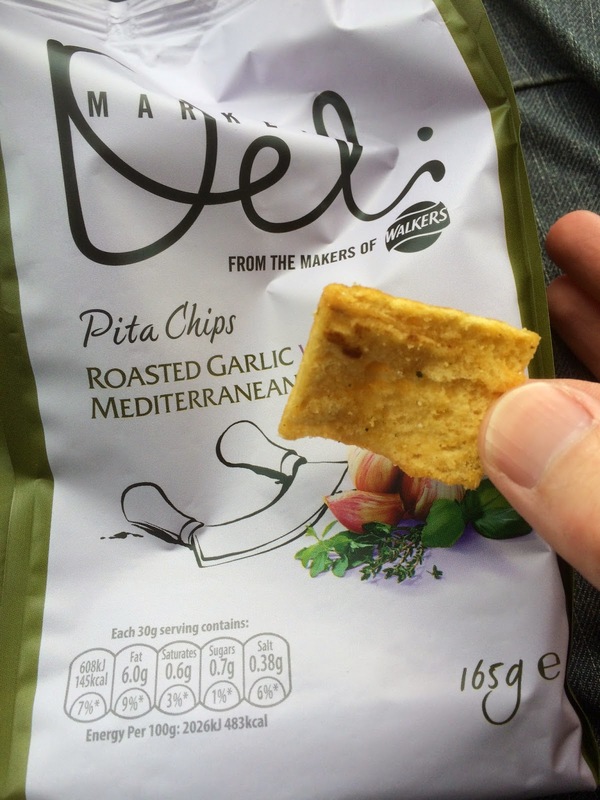 They look and feel a bit luxury too - like Kettle Chips - and they are more of an experience than a snack. I know I bring up the fictional dinner party a lot, but these would certainly get served. While spicy salsa seems a little odd and it feels like they just used the text off the tortilla chips by mistake. I know these are very Italian themed, but I'd treat these like a poppadom and head straight for the mango chutneys and similar dips. The texture is great (and I'm not a pita fan) and they crunch and snap really well. The garlic is the main flavour, but it's not overpowering. I'd certainly see these being described as 'more-ish' by guests and the bowl emptying before any of the regular crisps. Stick this with onion humus and a bit of balsamic and you have the perfect side for a little garden party - even if you don't invite anyone else and just hide behind the shed with a good book. I’m always looking for alternative snacks to potato crisps. Not that I dislike potato crisps. I absolutely love them but probably a bit too much. 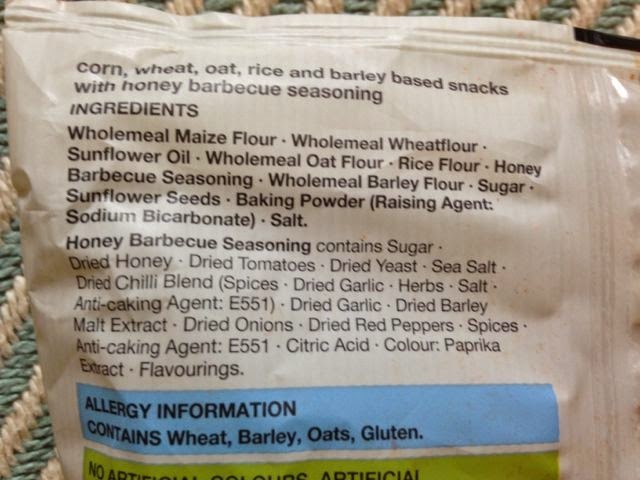 These Honey Barbecue wholegrain snacks from Marks & Spencer's were sported on the packet as a good source of fibre and sounded like a healthy alternative. There was a sweet barbecue smell on opening the packet. The large crinkly squares of wholegrain had a decent crunch and then melted in my mouth. There were predominant flavours of tomato and chilli spice with an overall sweetness from a good dollop of honey, mixed in with a hint of saltiness. The orange tint to the squares was supplied by paprika which also added to the spiciness, and a taste of onion mixed with barley moved my tastebuds cheerfully along into the aftertaste. I would definitely have these wholegrain snacks again as they made for an excellent sweet and spicy crunchy melt in the mouth moreish barbecue flavoured alternative healthy feeling flavoursome snack (... and breathe!). 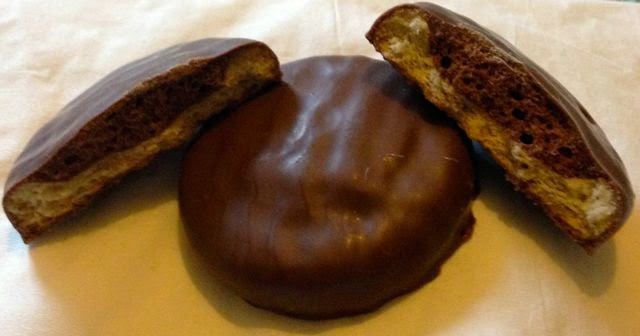 60g packet contained two 30g servings 155 calories, with 8.5g of fat and 2.3g of sugar. Contained; corn, wheat, barley, oats, rice and gluten. These wholegrain snacks were made with no artificial colours or flavours, and were suitable for vegetarians. For ingredients see photograph. Finally in the taste testing of this years Do Us A Flavour Competition, we come to Cheesy Beans On Toast. This is a highly rated snack by my standards so I hope it would translate well to the world of crisps. I opened up the bag and there was a pleasant aroma of tomato and cheese. The crisps had a decent sprinkling of an orange seasoning, and looked like that would come with a generous hit of flavour. They smelt really nice, as the combination does work well, so I couldn’t wait to tuck in. The flavour wasn’t quite what I’d hoped sadly. The cheese was a little musty, and not quite like a well defined cheddar, think of it as a more generic “cheese”. Not a bad flavour, but ti could have been so much more. The beans taste was good, I was impressed how they had made the tomato flavour taste like bean sauce rather than just ketchup. They weren't too sweet, and the taste was well balanced. There was no obvious toast flavour, which again is a shame as that could have been something a bit different and clever. I munched my way through the bag and found them to be pleasant and easy eating. They were however lacking that bit of magic, and they didn't quite stand out enough. I think if the cheese taste had been a little more specific these could have been amazing. 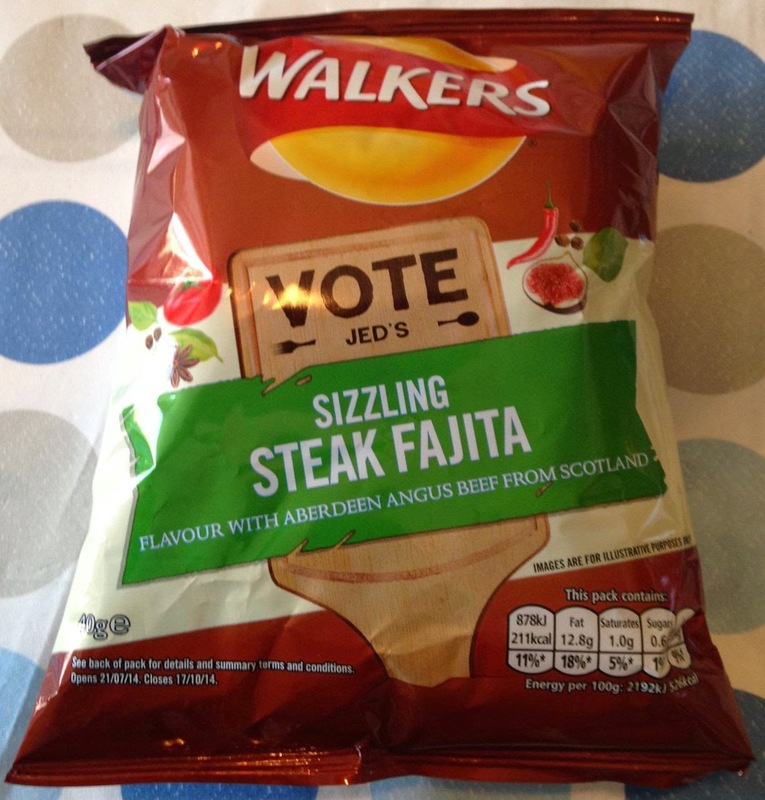 They are another nice flavour in the new range, but I think my winner in this years selection has to be Jed’s Sizzling Steak Fajita Crisps. Brewed by the Two Fingers Brewing Co. and Hepworth and Co. Aurelio means 'golden' in Latin. All profits from each bottle of Aurelio go to Prostate Cancer UK, which I'm sure anyone would agree is an excellent cause. I know that such a terrible illness frightens the backside off most men, but as they say "if in doubt, get checked out!" I presume that the Two Fingers in the brewer's name is the Great British two fingered salute to Prostate Cancer. Golden was certainly what this beer was. On pouring the beer there was a good hearty fizz. On drinking this beer it had an unusual hardy bite to it that instantly dragged my tastebuds away from the expected light fizzy beers that liberally pop fizz and dribble off the shelves in vast quantities every day from booze shops across the country. Those fizzy mass produced drinks have nothing on an exquisitely brewed artisan beer such as Aurelio. There was an initial whiff of Pale Ale Malt which was almost leap frogged on first bitter taste by the Goldings and Admiral hops that argumentatively bashed into each other. The maltiness from the Pale Ale almost kept up in the race between the fighting hops and joined the sweetness from the Crystal Malt at the finish line. I would buy a few of these bottles if I were you. One to toast yourself. One to toast the brewers. 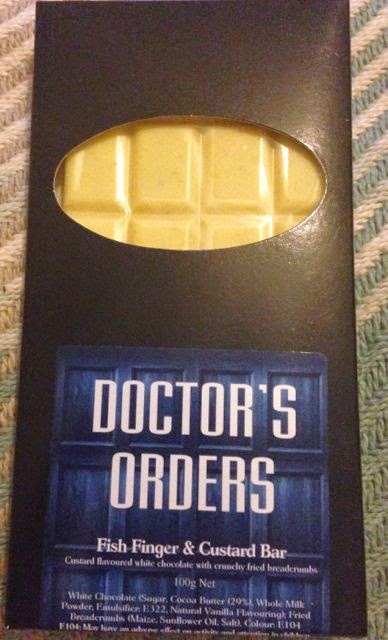 One to toast the doctors. One for each finger in the salute and at least one to toast each and any man you've ever known with Prostate troubles. We all probably know at least one or know someone who knows one. 330ml bottle at 4.8% volume. At least 10p from each bottle goes to Prostate Cancer UK. 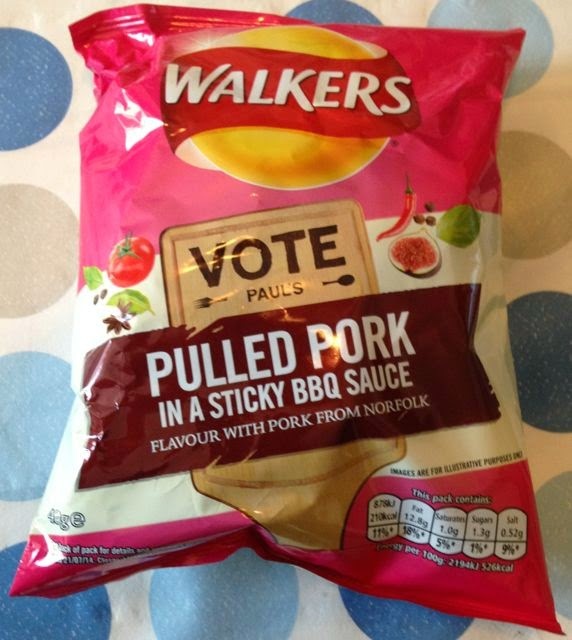 Next up for me to try in the Do Us A Flavour competition form Walkers are these Pulled Pork flavour crisps. The flavour sounded rather exciting, I’ve had pulled pork sandwiches a few times in a cafe near our garden centre and absolutely loved it. Once the bag was opened, the aroma said one thing to me; Monster Munch. Just as I was trying to decide whether or not it was the Roast Beef or the Flaming Hot or somewhere in between, or that I was going mad, Spectre lent over and smelt the crisps. He said, “oh they smell of Monster Munch”, which at least confirmed I wasn’t mad. Bizarrely the flavour wasn’t particularly that of Monster Munch, it was much more distinct. The taste was that of sweet barbecue sauce. There wasn’t any chilli heat, just an aromatic, tomato flavour with a hint of smoke, and the lovely aftertaste of pork. The meat tasted spotted on too, I could almost imagine those pulled pork sandwiches in my hand when I ate these. Heaven. It is just so hard to judge them though. I really loved the crisps, they made me want to lick my fingers and get all the broken bits out of the pack to ensure I didn’t miss any. 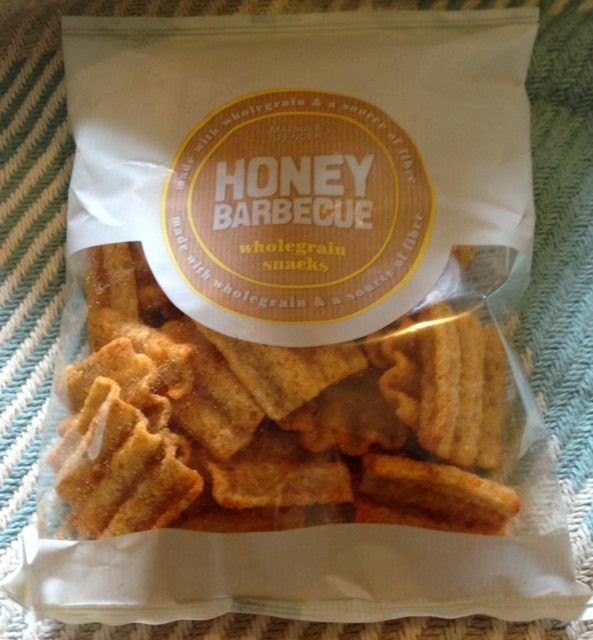 However, as tasty as meaty barbecue crisps are, they aren’t that different form some other flavours I’ve tried previously. I rate these very highly in terms of taste, but I’m not convinced I can flag them as my favourite, as they don’t feel that unique. 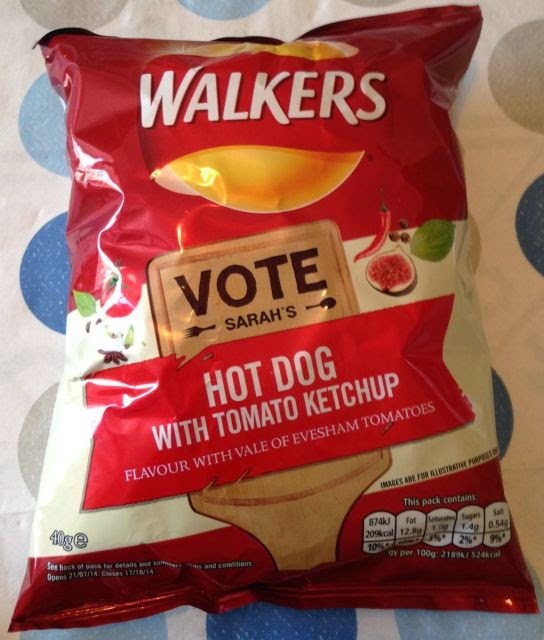 So yes I’m still working my way through the Walkers do us a Flavour varieties, and next up on my list are these Hot Dog with Tomato Ketchup ones. You can’t help thinking that the idea of the flavour is going to be popular, I mean who doesn’t like a hot dog with ketchup? Once the bag was opened the aroma was surprisingly sweet, like ketchup, but an extra sugary version, it was a bit odd if anything. The taste though wasn’t nearly as strong as the smell had implied. The flavour was like a ketchup, and there was sweetness, but it was at an acceptable level. The hot dog tasted a lot more like a regular sausage. 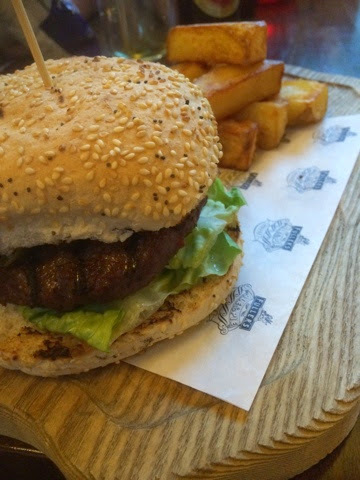 There was a nice meaty flavour, but the pork seemed to come across with an almost herby background, giving it more of a sausage sandwich flavour. Perhaps it is because I could pick up on some background flavour of onions too, which admittedly fitted nicely with the meaty tomato taste. These are a version of the crisps I would buy again, I did enjoy them. The taste of pork, ketchup and onion all work really well, but it is’t necessarily one I’d want to win. There is nothing wrong with them by any means, it is just we have had quite a few different makes do ketchup crisps in the past, and these just aren’t that different. I’m sure that the familiarity will make them popular though, and the slightly sweet flavour will ensure they are well received by kids too. They also didn’t quite have that distinctive taste of frankfurter to make them stand out. Good, but not a winner for me. Here at FoodStuffFinds we like a good pie. When I arrived at my first ever FA cup match (Bromsgrove Sporting Vs Bewdley Town) and was informed that they had just upgraded their supplier I thought it was the smart choice. 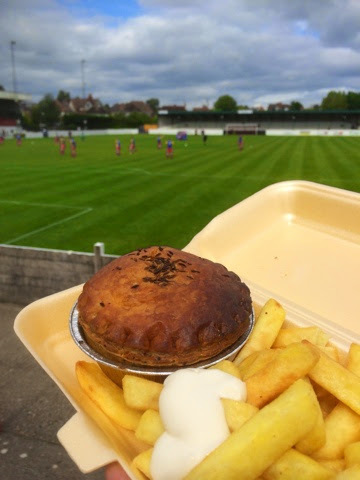 There was only one pie on offer, which I'm sure was Chicken Balti so I ordered it with chips and a Vimto (£4.50 for the lot) and took a seat on one of the spectator areas behind the goals. It was bigger than I'd expected and had some lovely seeds on top which added to the eastern flavours. As I was eating it with a tiny wooden fork I removed the top and ate that first. This enabled the piping hot insides to cool too. Sitting so close to the goal I was worried that a stray ball may ruin my late lunch so ate with haste. The insides were a nice mix of meat and sauce. I was surprised by the chunks and the fact that they flaked away nicely as proper chunks of meat should. While not up there with Pieminister this had quality ingredients and was decently full. 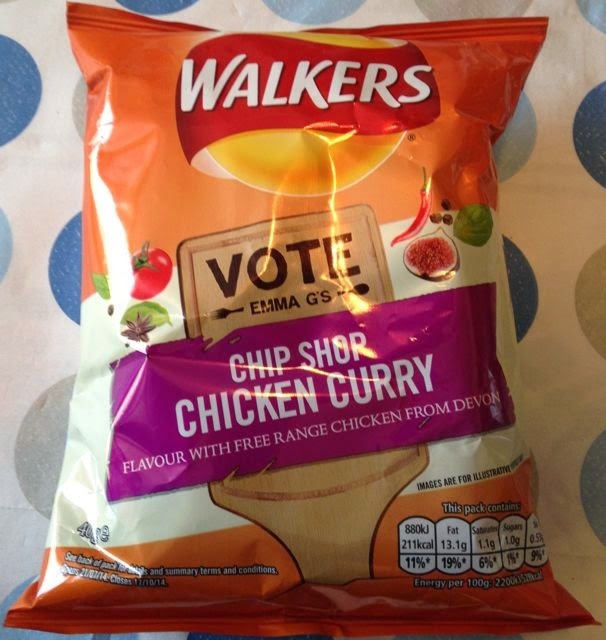 The curry flavour could have been stronger, but it was plesant and worked well with the chips. It was closer to chip shop curry sauce than restaurant Balti, but in a good way. The pastry was crisp on the top, with the sides having a rougher texture which was enjoyable. 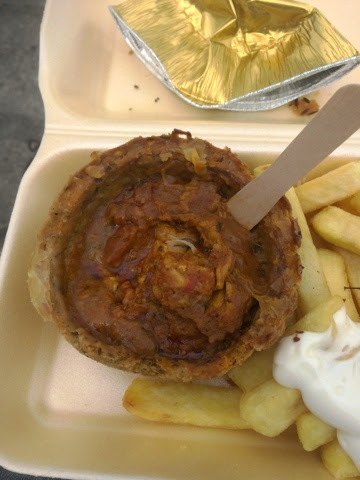 While I think I may take my own plastic sport adventure cutlery for future eating the pie itself was perfect for the football. This was Bromsgrove Sportings first ever FA cup match in the 5 year history of the club, and they won 2-0. The match was closer than the score suggested and the future rounds will certainly be tough. If there is another home FA cup match then I may go along (apparently I'm good luck) and if I did I'd be happy to leave space for another pie. These crisps have a decent crunch and a salty bite that subtly complemented the creaminess of the dark stout, it was like eating the savoury part of a meal at the same time as the creamy desert. I started to worry that there may be a theme there though with all these crisps. Thumbs up for this flavour with Guinness, and probably any other beer for that matter. 40g box with 188 calories, 10.1g of fat and 0.3g of sugar. Wow! I'd quite forgotten how fiery these crisps were once I'd opened the box. There was a heavy smell of back pepper that made my nose twitch and I almost sneezed. I was sure they'd exaggerated the flavour more since the last time I'd tried these crisps, perhaps with several more buckets of black pepper compacted into one 40g box of crisps. The crunch was there, the saltiness was there and blimey was the black pepper. These were the strongest salt and black pepper crisps that I had ever tasted. I had to rely on the creaminess of the Guiness to cool down my palate. 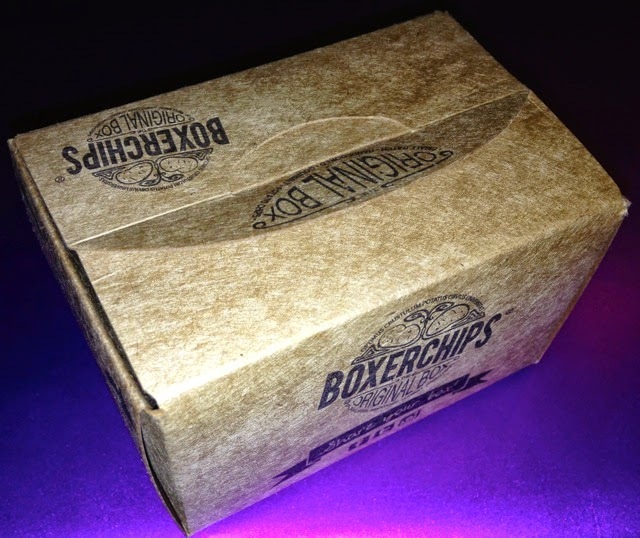 I loved these crisps and was glad to have the extra box to enjoy at a later date! 40g box with 187 calories, 9.8g of fat and 1.1g of sugar. The prominent malted vinegar flavour sang out as soon as the first crisp was popped unceremoniously into my mouth, the saltiness came second, which makes a change from the usual salt and vinegar flavoured crisps, but after the Crackpot Pepper & Salty Salt flavour I'd come to expect anything from Boxerchips. These crisps had a lovely vinegary flavour and the saltiness helped to bring that flavour further to the fore. The Guinness helped to wash down this flavoursome flavour of crisps, leaving a vinegar and salty snappy flavour in my mouth after every creamy glug. These crisps were my favourite flavour so far with the Guinness, they had a bitiness that made me sit up in my seat more than the Savagely Salty, but also a subtle flavour that didn't distract from the Guinness like the spicy hot peppery Crackpot Pepper & Salty Salt. 40g box with 183 calories, 9.4g of fat and 0.7g of sugar. 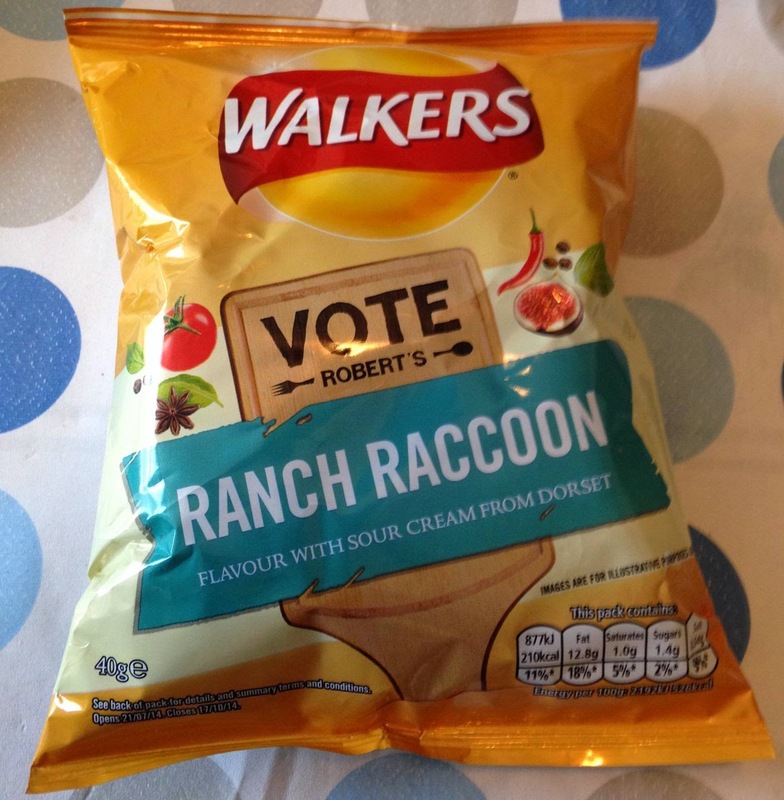 I certainly didn't feel cheesed off on tasting these crisps. They had a distinctive cheesy flavour which almost instantly merged with the onion. The Guiness seemed to draw out the cheesiness after a quick sip whilst eating a mouthful of crisps, but at the same time it muted the onion flavour almost completely. After a deeper drink the cheesiness disappeared also. This provided an unusual experience whilst eating these crisps. Whereas the strong flavours in the stout had complemented the Salty-Malty Vinegar flavour to the hilt working hard with the malted vinegar flavour and added saltiness, these Cheesed Off Red Onion flavoured crisps almost disappeared on drinking, and the cheesiness extenuating the Guinness flavour to the point of cancelling out the crisps. 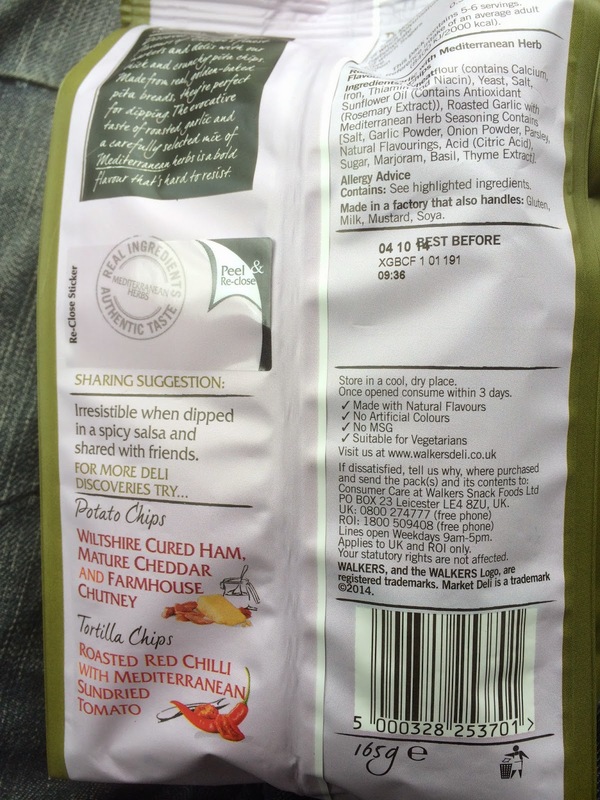 However on their own (without the stout) these Cheesed Off Red Onion flavoured crisps were very tasty indeed, with their heavy refined cheese flavour and snappy red onion twang. A must for all cheese and onion crisp connoisseurs out there, but just avoid trying to drink a hearty pint of stout whilst eating them! 40g box with 183 calories, 9.4g of fat and 1.1g of sugar. - packaged in three box sizes: 40g, 120g for sharing, and 240g for parties! Now I know I’ve written on the website for a long time, and we’ve covered an awful lot of biscuits in the past, but if I’m totally honest the phrase “Chips Ahoy!” was coming in at a bit of blank for me. I had to google it, I probably shouldn’t admit such things, but apparently my snack expertise were lacking in this area. Apparently they are one of the biggest selling brands of cookies in the USA, and I probably have seen them in import shops. Just to check I wasn’t going mad, I checked a few of the online supermarkets and with the exception of this particular bar, there was no other Chips Ahoy products being listed in any of them. 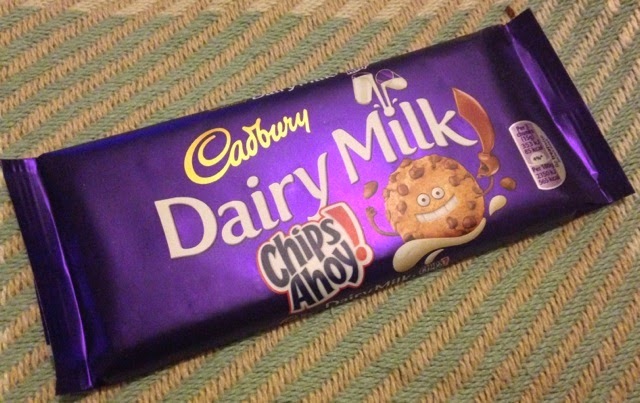 Funny then that Cadbury thought we’d appreciate a Chips Ahoy chocolate bar, despite the fact Chips Ahoy aren’t widely available in the UK. Anyway armed with the knowledge that these are chocolate chips cookies in the States, I dug into the chocolate bar. The first thing that struck me as odder still was that the filling was soft. I was hoping for some crunchy biscuit filling like we had when we tried Ritz edition of Cadbury, but this is more cookie dough. The biscuit flavour is nice though, creamy and sugary and very pleasant. It had the taste of biscuit, if not the texture. There were little bursts of extra chocolate from the slight darker chocolate chips also in the centre. Despite the filling being soft, it was varied, and the chocolate chips and crunchy crumbs mixed in did feel nice to munch on. 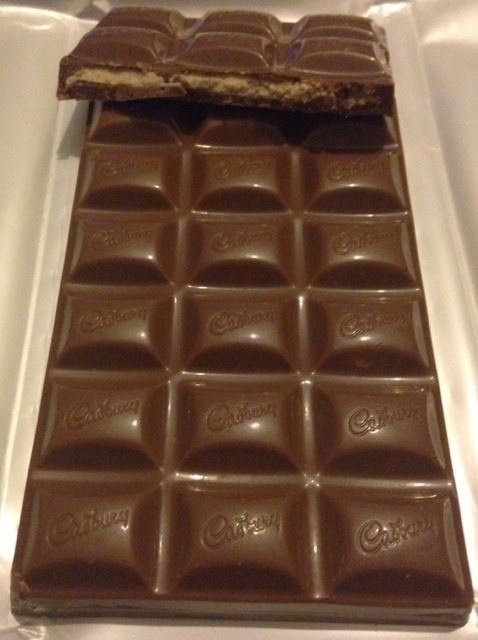 This is a nice bar, but it probably won’t make a re-purchase for me as cadbury have several other biscuit edition Cadbury products that are superior, Creme Egg and Ritz for example. I guess the saying is true - if you can get everyone to buy your product just once then you have a hit on your hands. Breakfast biscuits continue to be that hit - with more varieties and styles than I could have ever imagined. The most shocking part is that they continue to put them on special offer, and I continue to buy them! This particular pack has yogurt in the centre, which we have seen before, but not with both the porridge oats and the raspberry bits. This is probably my favourite breakfast biscuit combo to date. It took great will power to only eat one of the little twin packs at a time, and not to have 2. The range also has a few other exciting sounding ones (that were not on special) and oddly the packaging shot suggests you get 6 of each of these instead of the 5 in the one we ate. Maybe the chosen ones were the super deluxe ones and maybe they changed their mind and made the packs smaller so the price wasn't so off-putting. 5 is one per week day - and I suspect that most people like me have these on their desk. Again - i'm going to try my best to avoid reviewing more breakfast biscuits - but if they top this by maybe putting jam in or icing on the top then maybe we'll have this conversation all over again. I guess those versions will no longer be considered healthy though. VegfestUK London 2014 is one of Europe's keynote veggie lifestyle shows! Following a highly successful first show at Olympia visited by 9,000 people over 2 days, VegfestUK are returning to Olympia for the 2nd year running on September 27th and 28th 2014. We have teamed up with VegfestUK to give two tickets away for the 28th to one luck reader! In order to enter you need to follow this blog via Email, Twitter, Pinterest or Facebook (all the links are on menu on the right). Then send an email to admin@foodstufffinds.co.uk with COMP in the subject line, AND let me know how you follow us (i.e. your name on Facebook, your email address that subscribes or your @name on twitter or you name on Pinterest). • Competition closes 8pm on 27th August 2014. 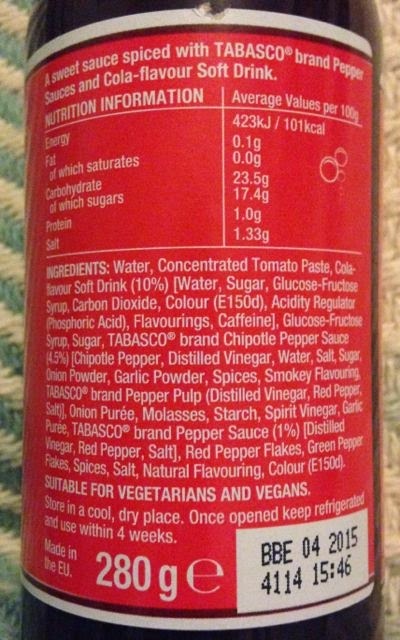 I've always been partial to Tabasco Sauce, I also liked their new Tabasco Chipotle Smoky BBQ Flavour. Cola not so much. I know lots people may think I'm probably pretty weird for saying that, but I can give or take a bottle of Cola, but mostly give. Never been all that fond of the stuff. So when Cinabar passed me this bottle of Tabasco Sweet Chipotle and Cola Sauce and Marinade to try I had mixed feelings. It had a mild heat rating on the label, which couldn't hurt. Not much of a marinader, I decided to dip my chips and fish cakes into it as a sauce one night. After a good shake the dark brown sauce came out of the bottle a bit fast and I dumped quite a lot on my plate. I could tell there was a cola taste, which was then replaced by the smoky chipotle flavour I'd become accustomed to with the other previously mentioned sauce, followed by a quick hot bite from the Tabasco chilli flavour. This sauce or marinade made for a lovely unusual spicy barbecue sauce. It was good with chips dipped in it. The heat built in my mouth as I dipped and it slowly rose to a nose runny heat. This sauce also went well with the two ample sized Thai Prawn Fishcakes on my plate complementing their heavy lemongrass flavour. I even went back to the fast emptying bottle for several other servings, which is certainly proof that I loved every drop of this spicy smoky slightly Cola-ry sauce! So I warn you that once you plop this sauce on your plate you may need some tissues for your nose, a bigger plate and a bigger bottle for your greed. 280g bottle. The label recommends to try marinading pork and chicken. See photograph for ingredients. Curry Dave sent me an email about his pizza’s getting listed in Ocado, and as I had an open Ocado order on the go, I added some to the basket. We decided to try them at tea time on Sunday, as a bit of a nice treat given all the bad weather that came following the dregs of Hurricane Bertha. It was only a bit of a wet and windy storm where we are in the UK, but it felt like the weather for a bit of comfort eating. 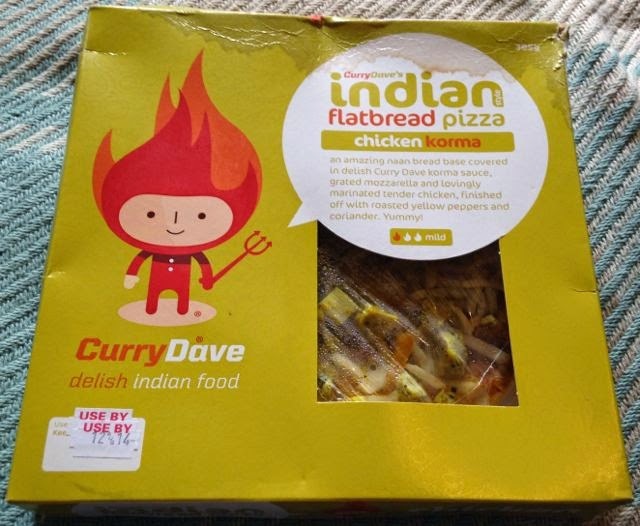 Curry Dave’s pizzas are different because they have a naan style base, and keeping with the Indian theme the topping is curry. There are a range of flavours, but I picked up Korma and Tikka. The pizzas cooked easily in the oven, and filled the house with aromatic spices. 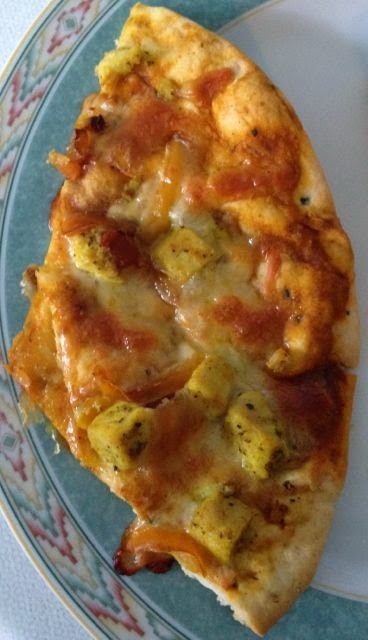 First up I gave the Korma pizza a taste. I have to say I was very impressed by the base, it had a lovely softness, and authentic flavour. The curry topping hadn’t soaked into it. The base was lovely and soft and easy to eat, and not at all soggy. The flavour of the Korma was spot on, it was creamy, with hints of coconut and a nice flavour of spices without much chilli heat. The chicken was moist, and the pieces were big enough to get enough flavour through. They broke up the taste in the pizza, making each bite interesting. 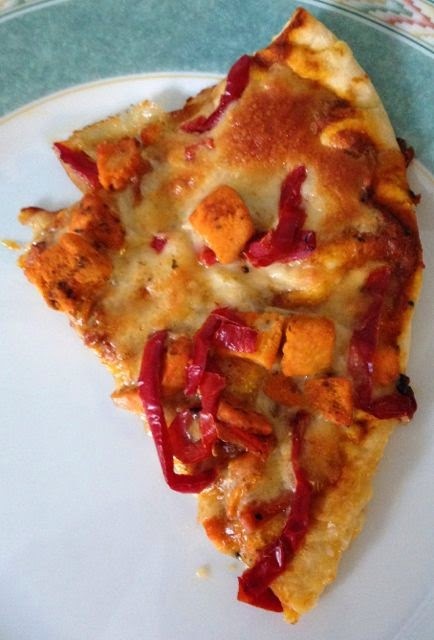 Next up we gave the Chicken Tikka Masala pizza a try. The tomato base flavour in the Tikka meant that this one tasted a bit more like a regular pizza, also supported by the mozzarella cheese flavour thorough. The base was still soft and naan like, and the topping was unquestionably tasty, there was a little bit more heat to this pizza, a nice hint of spice, not enough to hurt! 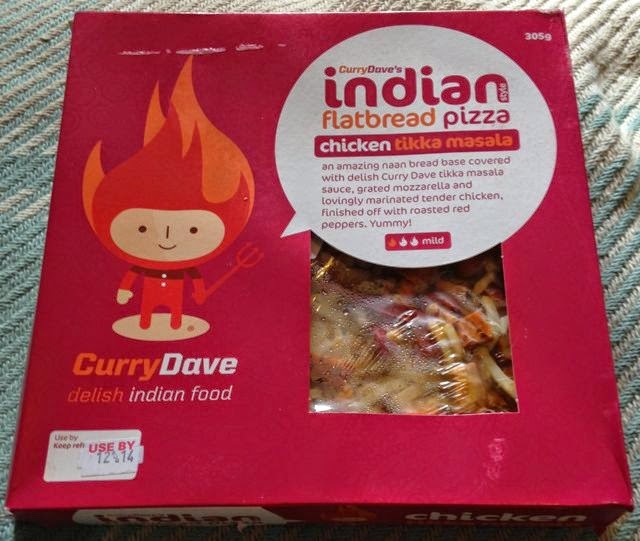 There is a madras pizza too, if you want a bit of fire, but I’ve not tried that one yet! We had the pizzas with some cucumber dip, which was nice with the naan edges (there wasn’t a crust as such), and it made a very tasty tea. I will buy these pizza again as they are a nice twist on the conventional idea of pizza, and the base just works so well. It is a nice mix of fusion food, and the combination works a treat. 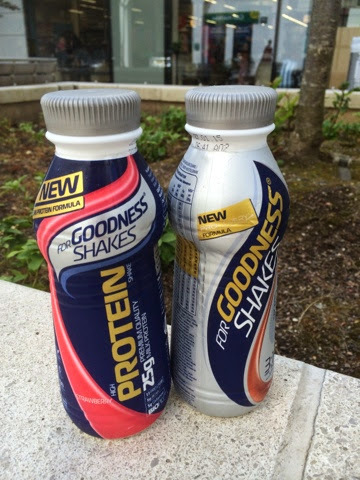 As part of my new fitness regime I've been trying lots of shakes and potions to see if I can make the exercise hurt less. This one was just sitting on the supermarket shelf all innocently, and I consumed the left hand one precisely one hour before the the training started. They hurt (I did them all but a bit smaller than normal) but I managed them non the less. The rest of the exercise was mostly acrobatics which I'm less capable of but hurt less. The recovery was much better this time though, I could sit on seats without massive discomfort this time. This was a pleasure. Whether this was wholely due to the magical drink I'm not sure. The flavour was much nicer than the nourishment can, the texture was that of a deluxe milkshake and it went down nicely. I plan to buy more of these and to continue to experiment with their effects. 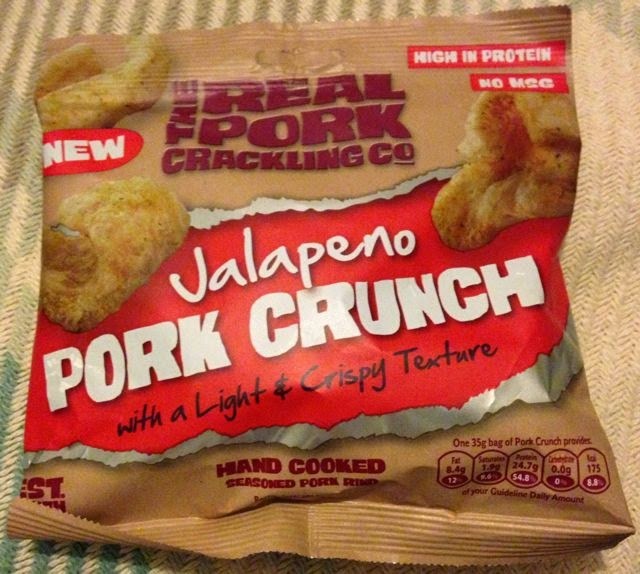 This Jalapeno Pork Crunch “with a light & crispy texture” sounded perfect if you like a bit of a kick to your regular pub snack. Although there was no promise of blinding chilli heat on the packet, as soon as someone says “jalapeno” to me I expect anything from a tingly heat to a full nose running meltdown. On opening the packet this pork crunch looked and smelt like any other, but on close inspection the crunches were covered in green flecks. I popped the first one in my mouth chomping down on the crispy pork crunch. Lipsmackingly tasty these pork crunches had a hearty crunch and a light jalapeno flavour that didn’t start a fire in my mouth, but instead swam cheerfully amongst the choppy waves in a sea of pork rind. This snack would warm your cockles on a cold day, but not enough to melt a hole in the bottom of the boat. At the back of the flavour there were hints of lemon and a touch of parsley that moved into the aftertaste. In fact one “repetition” once I’d finished the packet showed just how much parsley had been added to this Jalapeno Pork Crunch. The more I ate of these pork crunches the more the spicy chilli heat built in my mouth, nothing uncomfortable mind, but enough to give me a bit of a sniffle. The 35g bag went a long way and I rather enjoyed dipping my smoked ham and grainy mustard sandwiches into the crumbled remnants of pork crunch in the bottom of the packet. Established in 1974 the Real Pork Crackling Company, in Tamworth, in Staffordshire, sources the best British pork rind to make their pork crunch. 35g packet had 175 calories, with 8.4g of fat and 1.8g of salt. Ingredients included; pork rind, dried bell pepper, yeast extract powder, salt, rice flour, sugar, malt vinegar powder, citric acid, natural jalapeno and parsley flavourings, and lemon juice powder. Contained; Gluten, wheat and maize. I've been increasing my exercise recently with a spot of swimming and some prowrestling at a local dojo. 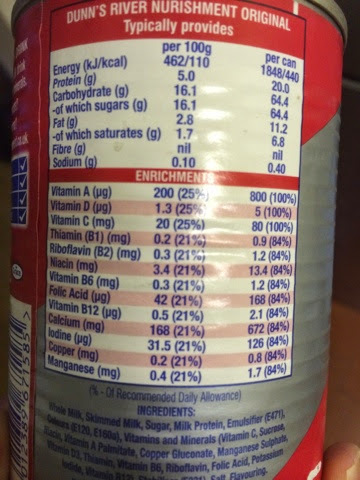 To this end I've been trying out a few of the more bulky energy drinks that have a variety of science claims and are designed to make you a superhuman beast. 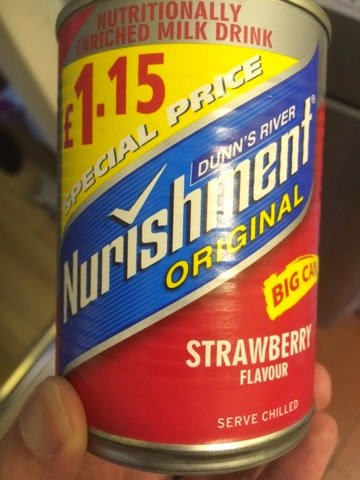 To start with I picked up this can of bachelor chow that is named Nurishment. I've seen this around a lot. The people who drink this do tend to wear track suits, but don't tend to be doing exercise. I figured that I'd see what happened. This is what was in the can. Science! I had achey post exercise legs before and after drinking it, I did become very, very sleepy though. I'm not sure if this was just as a result of work and heat, but it did coincide very closely with the drink. I will have to get another can and try it when I'm actively doing exercise. The flavour was vaguely strawberry and it was very gloopy and felt like it wasn't veggie friendly (it isn't). I may be not quite the target market for this, but I am willing to try it again. Since starting writing on this blog I've faced many bizarre flavours of beer, so this Hazelnut Brownie Beer came as another mad sounding flavour to add to the ever growing list. Described as "chocolate fudge and hazelnut brownie in a glass" this beer brewed by Bateman's Brewery in Lincolnshire had a deep dark brown colour on pouring it into my eager beer mug. In that list of brews I'm proud to say that some of my favourites have been brewed with chocolate malts, and this beer was no exception. There was a strong sweet dark chocolate smell followed by a nuttiness and hints of cinnamon that almost lept at the palate. This rich moist pudding beer almost frothed with creaminess, as the lush bitterness first touched my tongue mixed with the sheer lavish dark chocolate flavour which oozed around my mouth, to be closely followed by the nutty undertones and cinnamon warmth finishing the creamy flavour. This symphony of flavours was a sumptuous cacophony like a chocolate musicians bitter nutty fingers playing my tastebuds for every heavenly nutty sweet and chocolatey sip. It's safe to say that this beer tickled my sweet tooth. This beer let me know with a heavy thunk on the top of my head that beer is also for pudding and for slowly savouring, not just for glugging to get a little tipsy or enjoying in front of a movie with a bucket of crisps. Well done to those master brewers at Bateman's. You've just reached to the heights of my favourites hit list! 330ml bottle at 6.3% volume. Ingredients contained; barley, oats. Occasionally I pick up sushi for a work lunch, and when I do I often get some for a friend of mine. He returned the favour recently, but grabbed this new exciting looking variety pack. And this is what it contains! The coronation chicken sushi sandwich was quite nice. 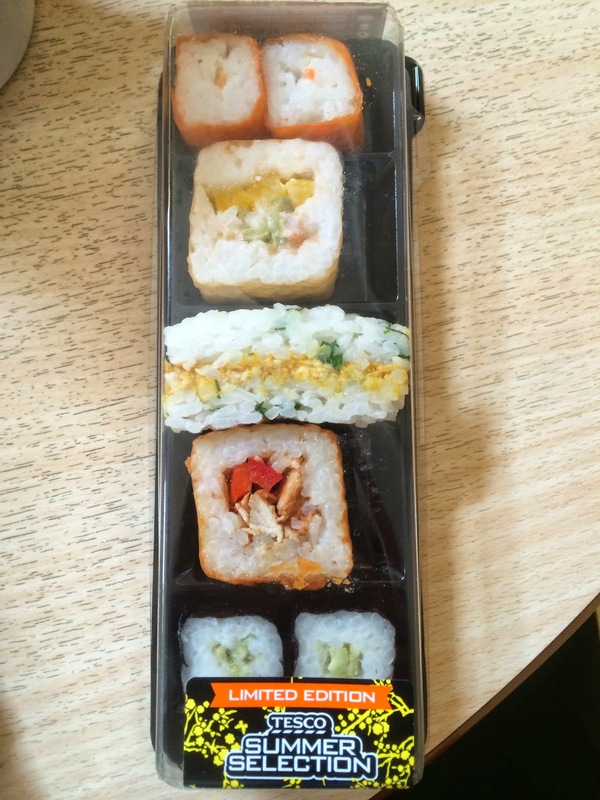 This had no raisins in to spoil it and was just a lightly spiced chicken layer in normal sushi rice with no wrap. Unusual flavour for sushi which was a good start to things. 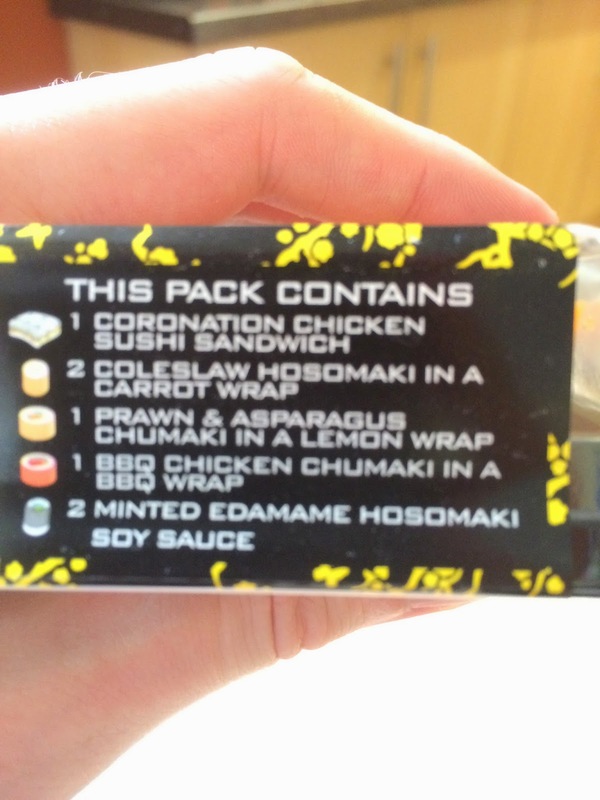 The coleslaw in the little hosomaki was overpowered but the carrot wrap flavour/texture that was also going on. I think that these were pretty interesting to look at and enough of a different flavour that you could give this to people who find the fish and seaweed style of sushi off-putting and they'd be converted. The next one contained prawns which I do tend to avoid, but turned out fairly nice. The lemon wrap was a little zingier than the carrot, but the centre of the chumaki was the star and contained most of the flavour. The BBQ wrap was totally the star of the package. Unexpected flavour burst with every mouthful and it was something I'd have never considered trying to do to sushi at home. It's worth picking one of these up as a sushi fan just to try this, and I'm sure i'll be looking out for these on menus in restaurants now. Finally we had the normal looking hosomaki but with a minty kick. I'd expected these to be the bulk out of the package but they went the whole way and only included interesting options. Not something you'd rush to buy, but included in the package an interesting twist on a classic. I'm sure the reason behind this pack is that they are thinking of choosing one or two options to add to their existing range, and I'd vote for the BBQ every time. I do think that a 'sushi Jr' pack with carrot and lemon wrapped sweet flavoured sushi would sell well and could even be targeted at the teen and child market. I'd be interested to see where this goes, and hope to nab a few more of these before the limited period ends. Yum!